Readers! It’s been far, far too long since I posted any tasty treats! I’ve gone back to school, and between work, schoolwork, and life, have neglected to post. I must say that I have deeply missed blogging. So, welcome back to all of us! Welcome! Welcome! Make yourself at home. Shake your neighbor’s hand. I’m coming back with a bang (or an Opa?) with these Greek burgers, though. We summered-it-up yesterday by grilling out and these healthy, mouth-watering burgers were the headliner. 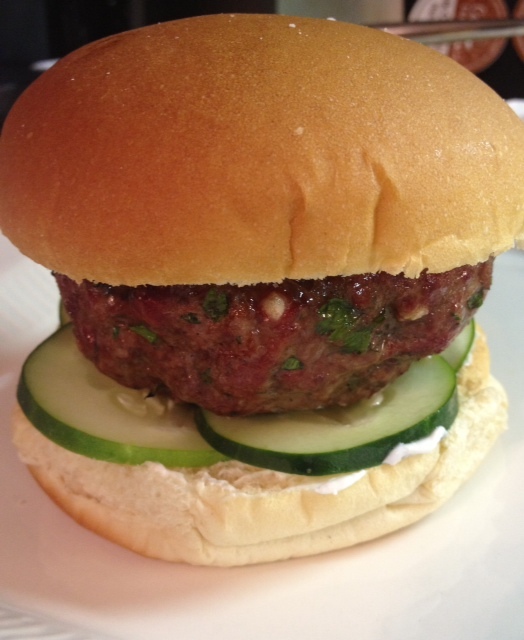 Lean beef, aromatics, feta cheese, cucumbers- wait, cucumbers?! Yes, cucumbers, and they were delicious. Check it out. Grab a large glass mixing bowl and put the beef in it. Just throw it right in there. Season with salt and pepper, then add the minced parsley, mint, and garlic. the allspice, the Worcestershire sauce, and the beaten egg. Mix it very well with your hands, until all seasonings are evenly distributed. Patty into 5-6 burgers. 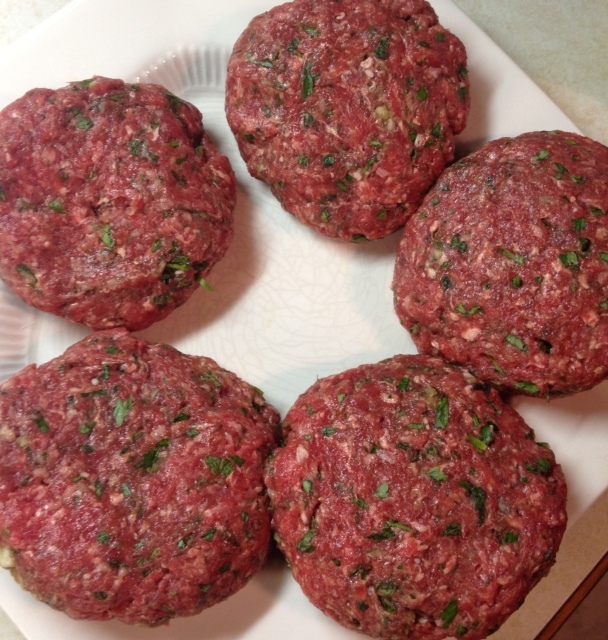 I divide my beef evenly, roll into large meatballs, and patty them down from the center out on both sides with my hand- this helps keep them pretty uniform. 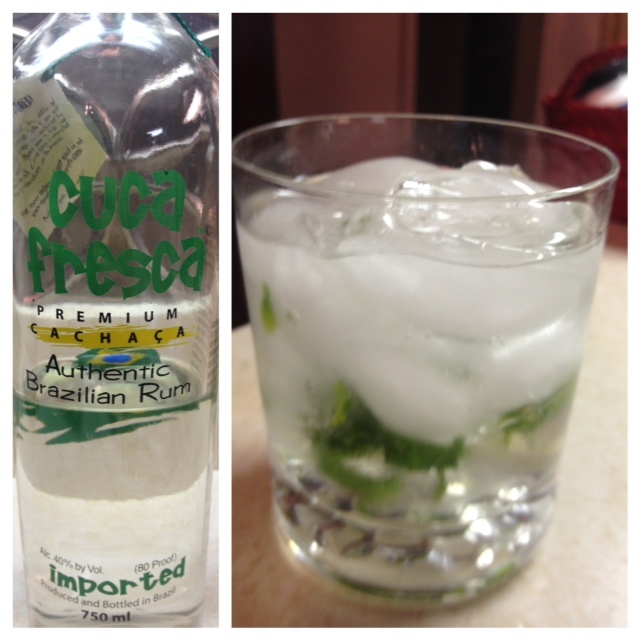 Don’t forget make the meal a global affair by whipping up Caiprinhas or mojitos with the remaining mint. 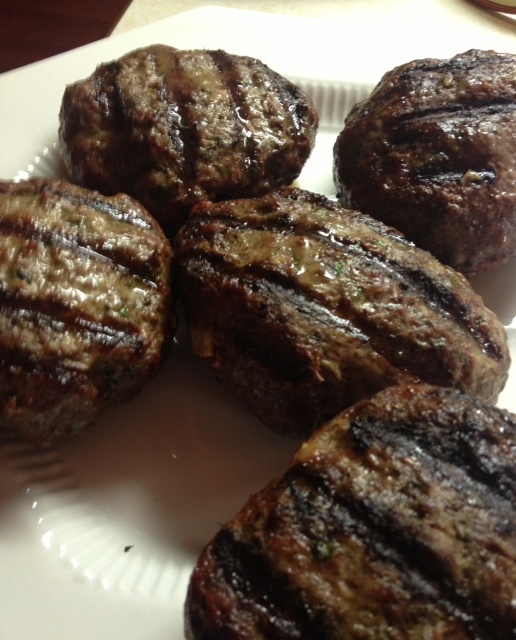 Place those gorgeous burgers on a plate and brush both side of each burger very lightly with canola oil. Preheat your grill and cook 4-5 minutes per side for medium- the burgers I made were pretty thick and this timeframe was just right. 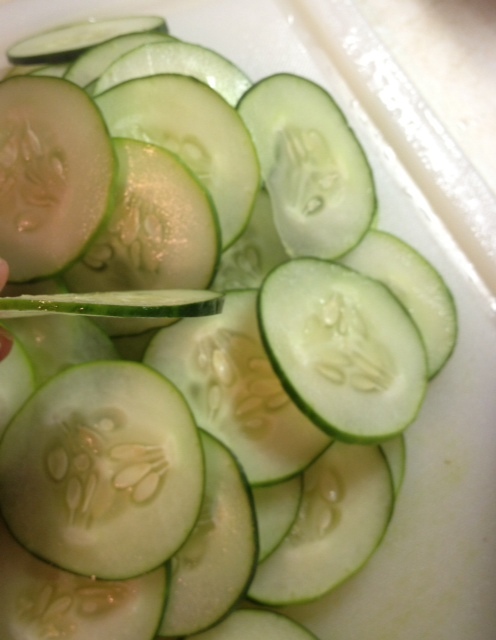 Slice your cucumbers while the burgers cook. 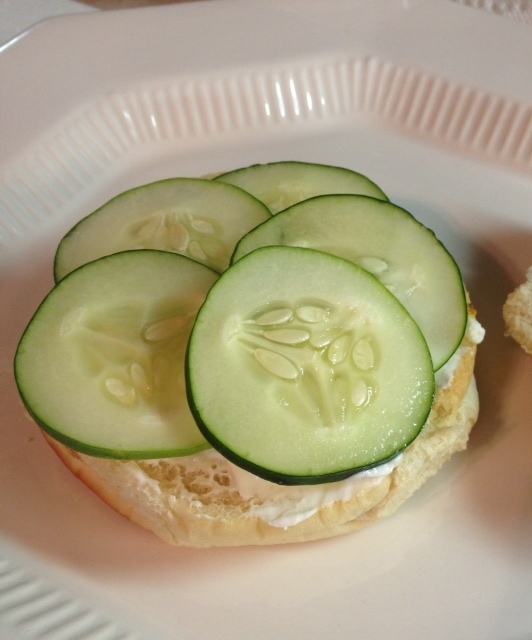 When the burgers are done, prep the toppings while they rest: grab a bun and spread both sides with Greek yogurt, place about a tablespoon of Feta on the bottom half of your bun, then fan out cucumber slices on top of the Feta. Top with a burger and the other yogurt-spread bun half. These burgers are incredibly juicy and burst with flavor. I had one today for lunch, and it was even better than last night. Enjoy! Opa! This entry was posted in Beef, Dinner, Easy, Fancy, Fast, Gluten free, Healthy Spin, Uncategorized and tagged burgers, easy burgers, easy Greek burgers, greek burgers, grilling, healthy burgers, healthy greek burgers. Bookmark the permalink. Not quite as healthy, but these would be great made with ground lamb! Indeed! I’m sure the flavors would burst!